This event brought together senior representatives of international businesses, chambers of commerce, client governments and World Bank senior management to discuss opportunities the new World Bank Procurement Framework offers to international businesses, and how it helps countries achieve high quality, sustainable and innovative development results. A Portuguese national, Ms. Ferro has 25 years of hands-on and leadership experience in Africa, Europe, Latin America and the Caribbean, the Middle East and North Africa, and South Asia. 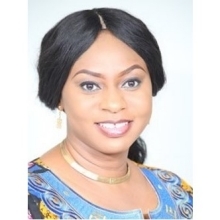 Ms. Ferro was also the Manager of the Country Economics unit in OPCS, overseeing country strategies, development policy financing, and guarantees. 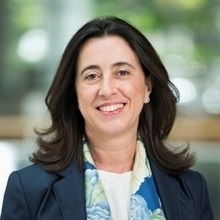 Prior to joining the World Bank, Ms. Ferro was an Assistant Professor at The Technical University of Lisbon, from which she holds an MSc./Engineering Degree. Ms. Ferro holds a Ph.D. and a M.A. in Applied Economics from Stanford University. Gary Litman is Vice President for Global Initiatives at the U.S. Chamber of Commerce, where he is primarily responsible for the Chamber’s policy advocacy related to the economic reform agenda of G20, G7 and international financial institutions. He leads the Chamber’s participation in a range of global business coalitions, and related business summits focused on the on-going transformation of the framework of global finance. In this capacity he manages the policy development by the Chamber’s G20 task force, and its dialogues with such institutions as the Financial Stability Board, International Organization of Security Commissions, the World Bank Group and the IMF. Litman previously served as the Chamber’s vice president for Europe and Eurasia. In that role, he managed all the programs, and staff working on transatlantic relations both in Washington and in Brussels, as well as project-specific consultants working in the European Union (EU), Central Asia and Russia. He also managed the Chamber’s extensive relationship with the American Chambers of Commerce in 42 countries and various advocacy initiatives with major business organizations in key members of the EU. 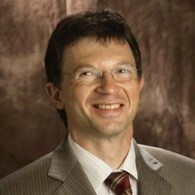 Prior to becoming vice president, Litman served as executive director of the Chamber’s bilateral business councils with Hungary, Poland, Czech Republic and Romania, working closely with the executives of the first wave of investors in these markets, and with the international financial institutions such as the European Bank for Reconstruction and Development. A native of Moscow, Russia, he received his J.D. from George Washington University’s National Law Center in Washington, D.C.
Roger Fiszelson is Advisor for the Confederation of International Contractors’ Associations (CICA). 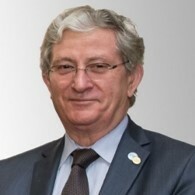 He served as Director General of CICA from 2012 to 2017. Prior to his work at CICA, Roger was Director General of the French International Contractors’ Association (SEFI) from 2003 to 2012. 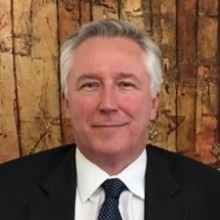 From 1978 to 2003, he worked as Head of structured finance in Vinci Concessions, GTM, Dumez, CBC, and SAE (Société Auxiliaire d’Entreprises-Merging in Eiffage in 1992). Roger received his Master’s Degree in Management from University Paris II – Assas in 1969. In 1970, he studied Economy and Finance at Institut d’Etudes Politiques de Paris. In 1978 he received a specialized training in Finance at Institut Superieur des Sciences Economiques et Commerciales – ESSEC Group. 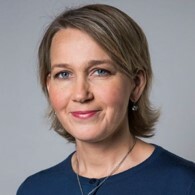 Ulrika Modéer is State Secretary to the Minister for International Development Cooperation and Climate, overseeing international development cooperation, Sweden's Policy for Global Development, and international climate policy. Prior to this she was the Team Manager of the Environmental and Foreign Policy Team for the Green Party Parliamentary Secretariat and worked in a variety of roles at the civil society organization Diakonia, including as Policy Manager (2009-2011), International Manager (2004–2006) and as Head of the Latin American department (2001–2003). Ulrika lives in Stockholm, is married with three children and holds a BA in International Relations from the University of Gothenburg. 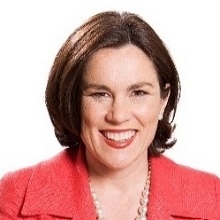 Tanya Beckett has worked in broadcasting and the media for over twenty years. She started out at the Financial Times, then went to work for CNBC, Sky News, CNN and since 1998, the BBC. She has worked on a variety of programs on BBC World News, the Newschannel, Radio 4 and BBC1 and BBC2 including Our World, Working Lunch, Today, World Business report, Newsnight, and World Business Report. She also spent 3 years living in and reporting from New York. Tanya has a degree from Oxford University in Metallurgy and Materials Science and spent 5 years as an investment banker in Frankfurt and London.